Sifu Lun Kai trained with Grandmaster Yip Man, during his stay in Foshan, until 1949. Sifu Ou Rong Ju trained with Yang Cheng Fu's oldest son, Yang Zhen Ming. Grandmaster Chen Xiaowang is the 19 generation Grandmaster of the Chen Family style Taijiquan. We don't have wooden dummies available at the moment, but hope to have again in the future. The Wooden Dummy exact look will be dependent on the stumps that are available at the time. Rope is not included in the basic design. 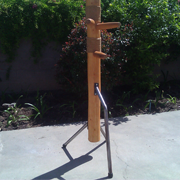 Inquire about extras you can add to enhance your wooden dummy experience. The Kung Fu School was founded, at the end of 1999, by Sifu Philip Collier. He has been training in various martial arts, since he was a teenager. He holds a 4th degree black belt in Atemi Jujitsu and trained in Ip Man's Hong Kong and Foshan Wing Chun, as well as Yang Tai Chi Chuan. Your first Wing Chun class is for free! Every school, every teacher is different. Try a free class to experience it and find out, if Foshan Wing Chun is for you. We have Wing Chun private classes and Self Defense seminars available on request. 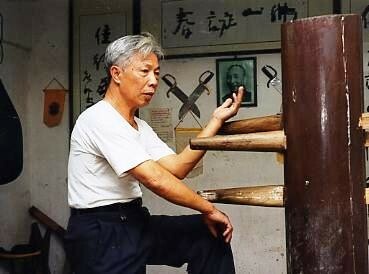 Wing Chun "Spring Time Fist" is a traditional martial art which is very practically orientated. Wing Chun produces efficient and adaptable fighters fast, by focusing on core concepts and not hundreds of different techniques. 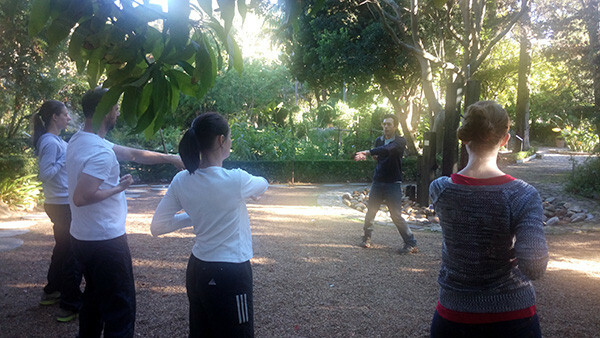 Chen Style Taijiquan (Chen Style Tai Chi Chuan) is the oldest and first style of all Taijiquan styles. Chen Style is practised with a much lower stances than the other Taiji styles. It also uses Fajing (explosive energy), stomps, leaps and jumps that is not so much seen in other styles. It is a complete martial arts style with very effective and real fighting techniques. Reality-Based Self-Defence focuses on teaching life saving combat skills for real life situations, without being restricted to one style or another. If you are primarily interested in learning to protect yourself and your loved ones then our Self Defence seminars is for you. If you are looking for a school near you, read a collection of comments by visitors to our website on Kungfu schools in South Africa (PDF - 235kb). How much of the Ip Man movie is true? Read our Sifu's review on the movie's historical accuracy (PDF - 255kb). Read more about Master Lun Kai (PDF - 300kb) who taught Wing Chun as taught by his teacher, Grandmaster Yip Man. 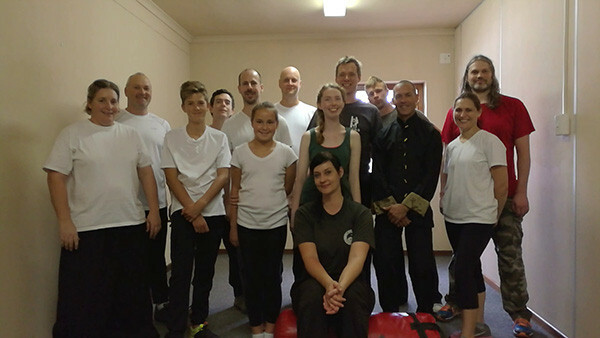 Sifu Bertus Kock has been training martial art since the year 2000. Styles include Yang Tai Chi Chuan and Yip Man's Foshan Wing Chun. 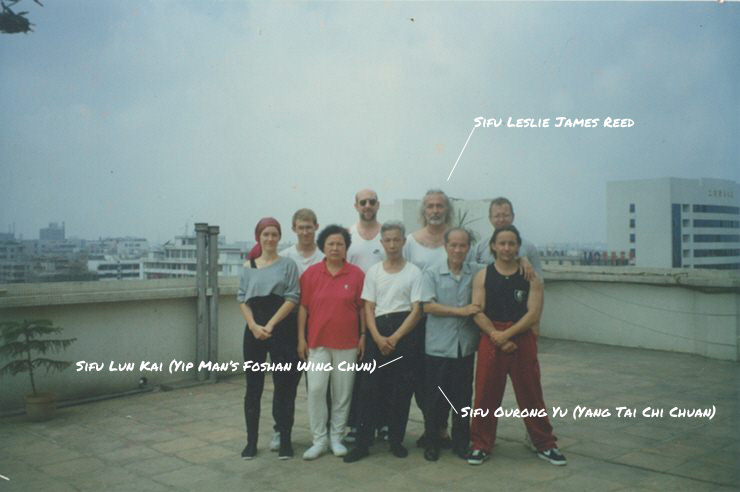 He trained with Sifu Philip Collier (founder of The Kung Fu School) for many years and Sifu Leslie James Reed (member of ITSWA), who trained with Sifu Lun Gai (disciple of Ip Man in Foshan, China) and Sifu Ou Rong Ju (student of Yang Zhen Ming, oldest son of Yang Cheng Fu). Shifu Liz has been teaching Chinese Martial Arts since the year 1995. She has taught and trained in various styles including Shaolin and many animal styles. Pioneer and founder of Chen Family Taijiquan in South Africa as per Chen Village Chen Taijiquan (since the year 2000). She is a World Champion/Gold: 1996 Full Contact Fighting Sanshou (USA), 2000 Full Contact Fighting Sanda (USA) and Bronze: 2000 Full Contact Fighting Ju-Jitsu (UK). 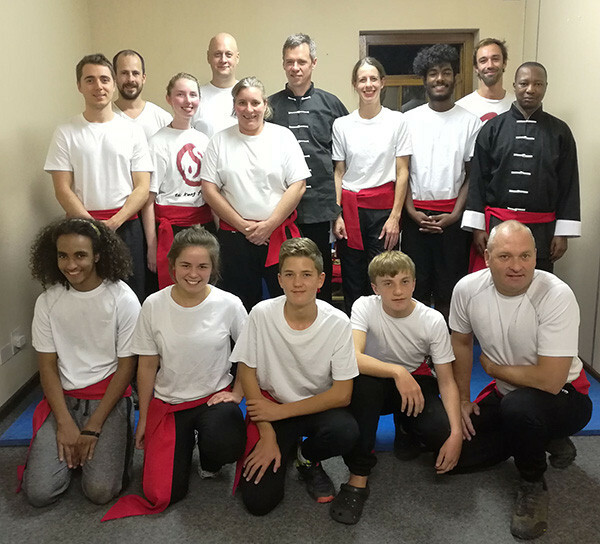 Shifu Liz van Heerden trained with Shifu Jose Figueroa (USA), who is a disciple of Master Ren Guang Yi whom in turn is a disciple of Grandmaster Chen Xiaowang and with Master Chen Ziqiang (China) Head coach at the main school in Chen Village China. Cnr Louw & 137 Dorp Street, Stellenbosch. Please note we only have classes in Stellenbosch at the moment.